The double connection for reliable power charging. 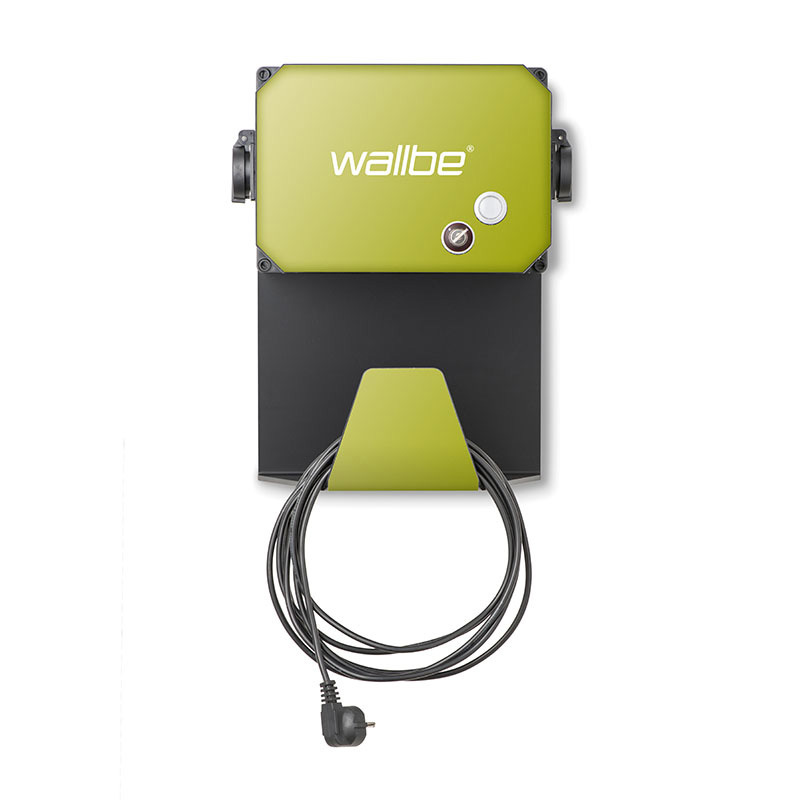 wallbe Dual Bike offers the perfect solution for optimum convenience when charging your e-bike. All technical elements are housed in a compact casing that can be stored anywhere, and only a simple turn of the key is required to start the charging process. 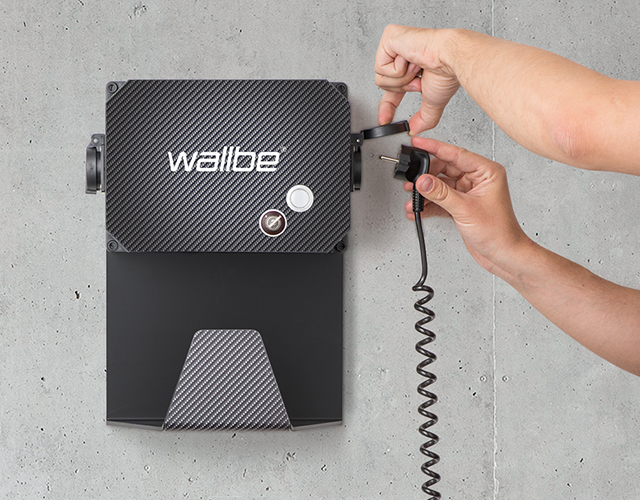 wallbe Dual Bike – the easy, reliable way to get your e-bike on the road. 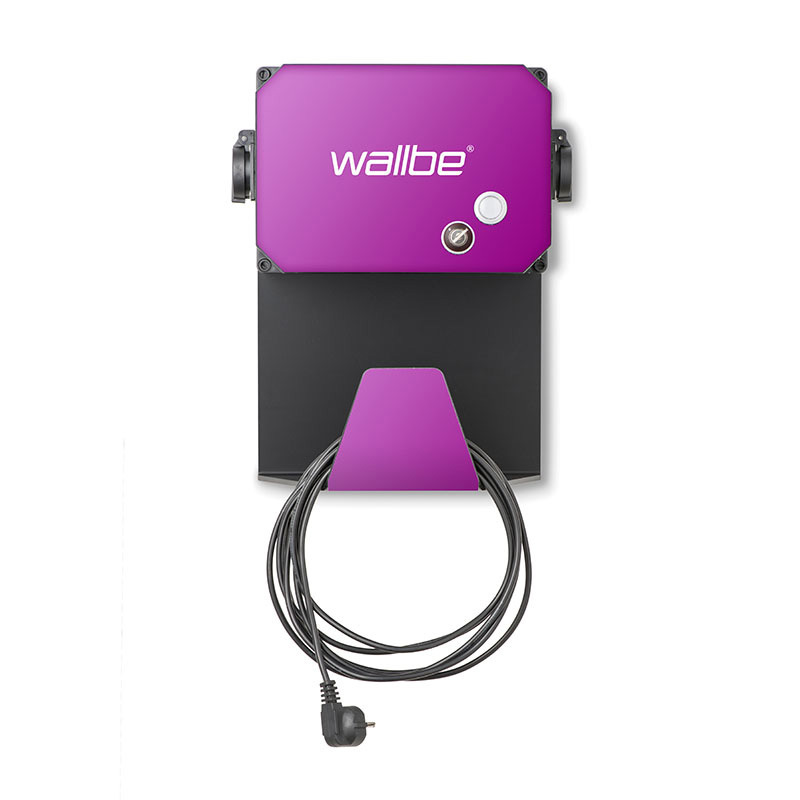 wallbe Dual Bike, with a holder for the charger and integrated cable holder, offers a practical, space-saving solution for e-bikes. 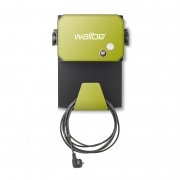 Each box has two charging points with a childproof, earthed (“Schuko”) socket that cuts off the power supply when the charger is not plugged in. 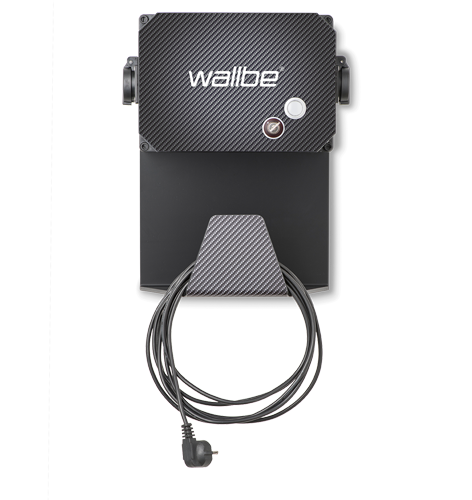 wallbe Dual Bike features a key-operated switch for convenient, easy activation, and a robust casing made of high-quality, carbon-look plastic suitable for indoor and outdoor use. Four wheels are not the minimum requirement for e-mobility. Our charging points are a low-price, convenient, secure solution for e-bikes, too. 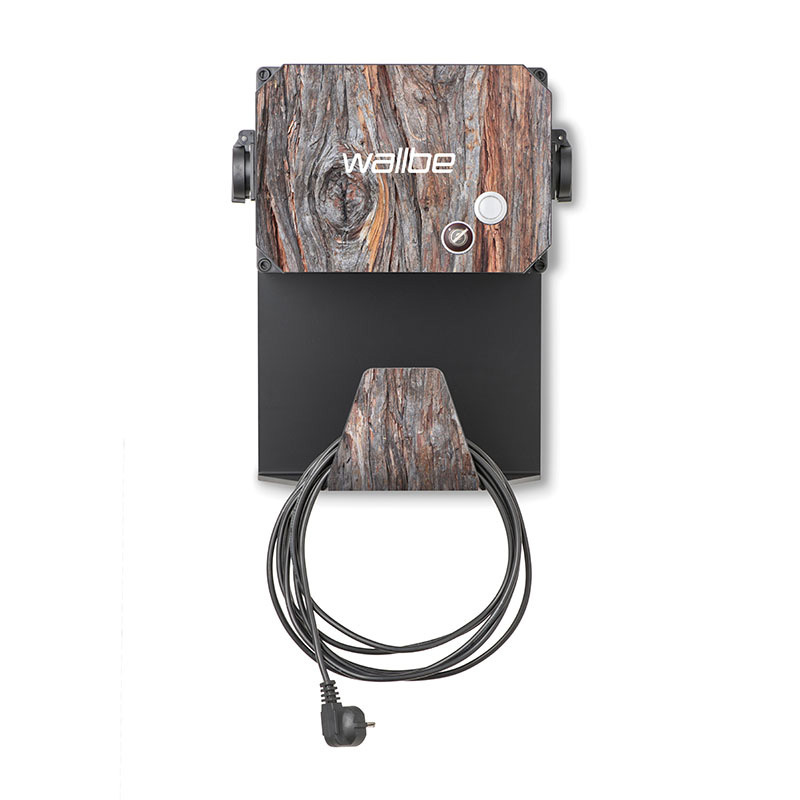 Our technology is housed in space-saving, sturdy and secure casings. Our solutions are pre-wired and supplied with prefabricated assembly aids and foundations for speedy connection. Intuitive charging and authorisation procedures for outstanding convenience. 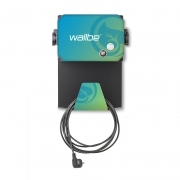 Charger cables in straight or spiral versions for optimum adaptation to application requirements. 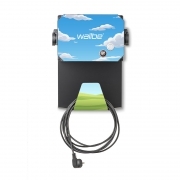 Electric current can only flow when the charger is plugged in. Our recipe for success: the best materials, the highest quality standards and first-class technology. Benefit from our years of experience and cross-industry e-mobility projects. Dialogue is always the fastest route to finding a good solution, and we are always on hand to answer your questions in person. Call us or send us an e-mail. We look forward to hearing from you. We provide advice and installation services ourselves and via certified partners. Click below for an overview of expert partners near you. Impressum • Datenschutz • © 2016 wallbe GmbH ▪︎ All rights reserved.